If you're stuck finishing up the workday when your child gets out of school, we've got the answer! Our After School Program at ZombieProof BJJ is proud to serve students across all of Sydney with structured self-defence training, homework time, and exciting activities. PLUS, we'll provide FREE transportation from most schools across Sydney. Does it get any better? 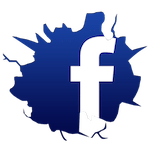 What Can Your Child Expect In Our After School Program? For starters, they can expect to have fun. Each afternoon at ZombieProof Brazilian Jiu-Jitsu includes plenty of games and activities that help students release some of that energy from a long day in the classroom. Each day begins... with dedicated time for homework and snacks. Students can get settled and complete their school work before the fun begins. At 4 pm... we open our facility up to free play and fun, followed by an hour-long Martial Arts Lesson. By 5:30... we're winding down the fun so that your child is ready to head home for a night of quality family time! Reserve Your Spot Today In Our Sydney After School Program! Don't let your child waste the afternoon on the couch each day. 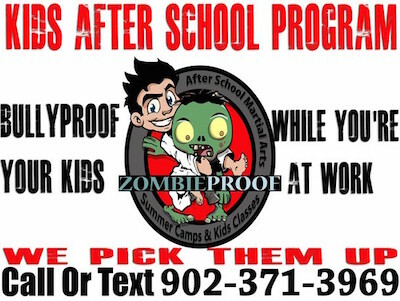 Give them an exciting way to stay active and meet new friends in our After School program at ZombieProof Brazilian Jiu-Jitsu. We are proud to work with students of all ages and abilities.